Verna Ruth Culpepper, Female, born 3 Jun 1933 in Caldwell Co., Texas, child of Tom Culpepper and Ethel Roberts. Berna Ruth Culpepper, Bexar Co., 25 Jan 1936, 250. E-mail written Feb 2006 to Warren Culpepper from Angela Barnett Gambler (#54456), Meridian, Msiisssippi, e-mail address. Emily Culpepper, Vol 3140, Cert 52395, Santa Rosa Co., FL, White, Female, died Sep 1968. Cena Ates, Dau, 7, FL, AL, FL. E-mail written 1999 to Lew Griffin from Ted Chastain, Jacksonville, FL (Ted is a Chastain researcher and welcomes correspondence on this surname. ), e-mail address. Biography* 1923� Cincinnatus Thomas Culpepper, M.D. Some of the most successful of the medical practitioners have found it expedient to devote themselves to a certain extent to special branches of their profession, either because of preference, or because of a popular demand. This is the case with Dr. Cincinnatus Thomas Culpepper of Perry, who, although engaged in a general practice, is kept so busy ministering to the ills of children, in whose diseases he has become a specialist, that he has but little time for other work. Doctor Culpepper belongs to the old Culpepper family of Georgia, and he is an elder brother of Judge John O. Culpepper, a sketch of whom appears elsewhere in this volume, county judge of Taylor County. Doctor Culpepper was born near Thomasville, Georgia, November 22, 1863, eldest son of John S. and Dorothy (Chastain) Culpepper. John S. Culpepper was horn in Georgia, and he died in his native state in 1900 when he was sixty-eight years old. He was a veteran of the Confederate army, and an active Democrat as long as he lived. Carefully reared, Doctor Culpepper first attended the local schools and the Southern Georgia Military Institute, and then, while engaged in farming, studied medicine. Determined upon securing proper medical training, he worked in a turpentine plant during his vacations and earned the money to put him through the medical department of the Atlanta Medical College, from which he was graduated in 1892, with the degree of Doctor of Medicine, and immediately thereafter established himself in a practice at Meigs, Georgia, where he remained until 1895, and then came to Florida, and for three years was engaged in practice in Madison County, and then, in 1898, located permanently at Perry, and here, as above stated, he has become widely known as the "children's doctor." He has farming interests and is a man of considerable means, all of which he has acquired by his own efforts. A Democrat, he has been very active in local affairs, and during 1911 and 1913 represented the Twelfth Senatorial District in the State Senate. During the late war he was one of the most zealous workers, and he has always been active in local matters. An ardent sportsman, he maintains Culpepper Camp, on the Fenholloway River which is noted for its turkey and deer shooting all over Northern Florida and Southern Georgia. Doctor Culpepper belongs to the County, State and National Medical Associations, and he maintains membership with the Knights of Pythias. C. T. Culpepper and Callie McDonald on 15 Sep 1892 in Thomas Co., GA, Book L-334. Loys Emerson Culpepper, b. 6 Aug 1894, White, Meigs GA, Taylor Co., FL. J. Ivar Culpepper, b. 16 Sep 1896, White, b. Lee FL, dad b. Thomas Co. GA, Taylor Co., FL. John O. Culpepper, Brother, M, Oct 1866, 33, S, GA/GA/GA, School Teacher. History of Florida - Past and Present, Chicago and New York: Lewis Publishing, 1923, Repository: Milton FL Library Genealogy Dept..
Volume III, pages 14-15. Copy provided to Culpepper Connections by Judith R. Jolly of Pensacola, FL. Brother of Mrs. Kate Wilson of this City was prominent man. Those who were intimately acquainted with him were not surprised at his going, but the shock and grief was none the less when it was reported around town that Judge Culpepper was dead. For the past year Judge Culpepper had been under the care of a physician, being a suffered from diabetes, and about a year ago spent some time in the hospital. Recenlty close friends noticed he was failing rapidly but he continued his work, being a man of great energy and force and worked in his office until ten o'clock Monday night. A man of perfect system he never left his office until everything was attended to no matter if it took the entire day and night to complete his task. John O Culpepper was born near Thomasville, Ga Oct 16, 1866, being 65 years on his last birthday. He grew up on his fathers farm near Thomasville, attending his public schools in that city. Desiring further education, at the age of twenty years entered the Southern Georgia College at Thomasville and after two years at this institution matriculated in the University of Georgia from which he was graduated in 1892, with the degree of Bachelor of Philosophy. He earned the money to defray the expenses of his education. In 1900 he became owner and editor for the Taylor County Herald and in 1905 and 1907 served as Secretary of the Florida State Senate. In 1902 Judge Culpepper founded his insurance business and wrote the first fire insurance policy ever written in Taylor County. He continued in the business til his death. In 1908 he was elected County Judge of Taylor County, and had continued in office every since, being a candidate for reelection. In 1902 Judge Culpepper was united in marriage to Miss Daisy Moore of Quitman, Ga and besides the loving and helpful helpmate, Mrs. J O Culpepper, he is survived by two sons and two daughters, Broward Culpepper is a teacher in mathmatics in the Leesburg High School, Frank the youngest being a student of the Taylor County High School, Miss Lucille Culpepper was an assistant in the office of her father, Miss Dorothy Culpepper, youngest daughter is a student in the woman's college at Tallahassee. Funeral services were held Wednesday afternoon from the First Baptist Church, of which the deceased a teacher of the Men's bible class, was a lifelong member and not only for his own church but for other denominations. One of the largest congregations ever to attend a funeral was at the last sad rites, the large auditorium class rooms and balcony being unable to seat all who came to repay their respects to the man whom they loved and honored. Rev A F O'Kelley, pastor of the church, assisted by Rev F F Hodnett of the Methodist Church, conducted the services which were beautiful and impressive. The beautiful music of old time songs and favorites of the deceased were sung by W Hugh Rowe, Mrs. J L Weeks, Mrs. L B Clark, and Howard Cranston. Funeral Arrangements were in charge of W S Widdon. The floral pieces were the largest and most numerous ever seen, coming from friends and admirers from many places. Interment took place in the family plot, in the city cemetery, the services at the grave being conducted by the Perry Lodge of Masons, of which the deceased was a member for many years. The Pall bearers were members of the Judges Association and were Judges Winburn of Mayo, Moore,Tallahassee; Johnson, Jasper; Bird, Monticello; Smith, Madison; Barber, Cross City. Judge Culpepper is gone and his place in the affairs of the people will be hard to fill as he was a leader in the many movements for the betterment of the community, and his generosity, thoughtfulness and activity will ever remain green in the memory of those knew him and loved him for his true worth to his community and friends. Thursday May 12, 1932 Page 7. "On a recent trip to Thomasville, Ga., I was able to get a copy of Sarah Caroline Culpepper McNeill's obit. I learned that she is buried in the Blackshear/Chastain cemetery which was a family cemetery just off what is Hwy.202 north of Thomasville. I had hoped to go to the grave but time constraints prohibited a visit at that time. E-mail written Jul 2014 to Lew Griffin from Jane West, e-mail address. J. G. Culpepper and Alice Carlisle on 15 Dec 1898 in Thomas Co., GA, Book M-23. 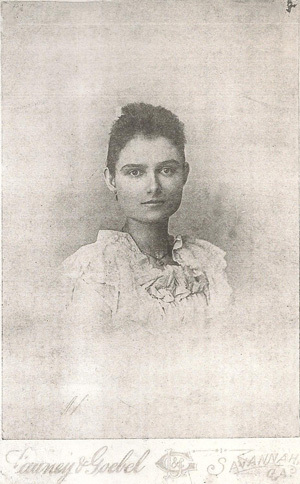 Alice O. Culpepper, Wife, F, Nov 1877 (22) F, Md 2, ch 0/0, GA/GA/GA. + Julius Marlin Culpepper, 26 Jan 1902 – 15 Apr 1986. 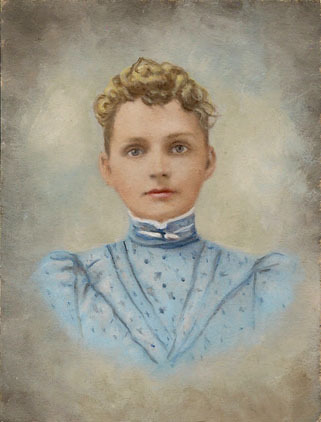 Alice W. Culpepper, Daughter, F, Wh, 3, sng, AL/GA/GA. Arlien Culpepper, Son, M (sic), 4, sng, GA/GA/GA. Julius G. Culpepper, d. 17 Dec 1935 in Thomas Co., GA. Birth* 22 May 1873� Walter was born at Thomas Co., Georgia, on 22 May 1873. Listed as age 7 in the 1880 census, thus born 1872-73. His tombstone lists his year of birth as 1882. Walter Ross Culpepper (Judge), 22 May 1882 – 22 Dec 1916. Find A Grave Memorial# 70313826.